Start with a purchased plant, or start seeds indoors and set out at about the time of your last frost. Lovage will reach its mature size in about three years. One plant is usually sufficient, but it’s a good idea to start a new plant every few years. At maturity, lovage will need a 90 cm (3ft) square space. It is a very large herb. 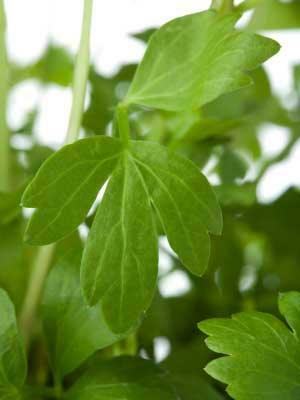 Because of its 1.5 meter (5ft) height, lovage is best located at the edge or rear of the garden.